On December 31, Rafns' Restaurant will commemorate the new year by offering an extended dinner service and some delicious specials. 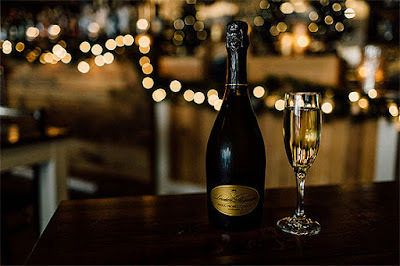 The complete wine list will be available, including additional sparkling options offered by the glass, most notably: Loredan Gasparini Prosecco, G.D. Vajra Moscato, and E.Z. Orchards French-Style Cidre. Seating is available 4:30pm to 9pm on New Year's Eve, Saturday, December 31. Please call 503-580-2936 to secure your reservation. We look forward to serving you. Happy New Year!